In response to a post that I had written before on how to install OpenDJ and OpenAM I had someone remind me that I never came back and wrote the follow on post (which I had promised to do). They posted the question to my other blog site (which I have since migrated over to this site). I am going to answer the question here as this is the only blog that I am presently maintaining. Can you paste me the link which talks about next part of the installation. 3. Create an Access Policy to protect a web application. I often say that I am successful by “standing on the shoulders of giants”. 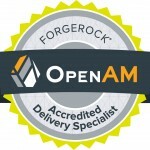 There is so much great “how to” content on the ForgeRock Community wiki site and that is where I turn to when I am looking for help or advice on OpenAM, OpenDJ and OpenIDM. Take a look at the section, “OpenAM: How do I?”. There are a number of “how-to” articles that are literally step by step with screen shots. The link for the article that specifically talks about how to configure OpenAM to protect a web application can be found here: Add Authentication to a Website using OpenAM. To protect a single web site is pretty simple and straight forward but sometimes you have unusual or difficult use cases where you need another set of eyes or additional help architecting your solution. 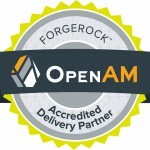 I have a lot of experience with the ForgeRock suite and I am available to provide consulting services. 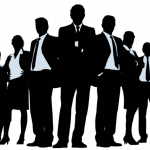 Please don’t hesitate to reach out if you are interested in contracting my services.